Carbon Alloy Steel Supplier - Carbon Steel Fittings Dallas, TX | Texas Alloys & Tool Co.
At Texas Alloys, we carry a full inventory of carbon steel pipe products in various sizes to meet the structural piping requirements for many industries including oil & gas, power plants, food processing, maintenance departments and more. Carbon steel is an extremely useful and versatile steel alloy that increases in hardness depending on the amount of carbon content. Carbon alloy is an alloy consisting of iron and carbon and is one of the most commonly used metals in the industrial industry. One of the many reasons it’s a common material is because of its low cost and versatility. Carbon alloy steel can withstand high heat temperature successfully and create hard grades of steel. We also offer a variety of stainless steel fittings to meet your needs. Whether you’re in need of material for a shaft, part fabrication, custom tooling, or building a project, we can supply your materials needs in a timely manner. 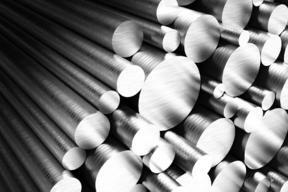 Whether you need carbon steel plates, sheets, tubing or other shapes, Texas Alloys & Tool has the inventory and expertise to help you find the right carbon alloy steel whatever your application. We sell hot rolled and cold rolled carbon steel sheets and we also offer other finishes for the different carbon shapes and grades we carry. Contact our knowledgeable sales staff today to find out how we can meet you carbon steel needs. We offer the following carbon steel grades: A105, A106, A234, 1018, A26, 4140 and A709.